Over 200 Yoisho! volunteers lend their talents and time to running our cultural programs, staffing our events, assisting us with our operations, and lending a hand in maintaining our historic campus throughout the year. These volunteers play an invaluable role at the JCCCW donating their time and talents to provide support for programs and events at the Cultural Center. 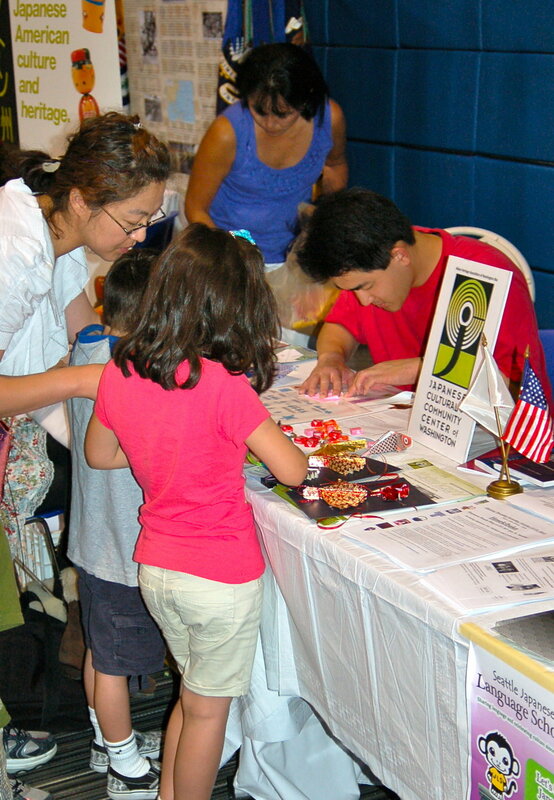 Our volunteers come from various backgrounds but all are dedicated to the JCCCW’s mission of promoting and sharing Japanese and Japanese American history and culture. Whether you are available for only one weekend a year, or can come in on a regular schedule, there are volunteer opportunities for you to make a difference in the community. Throughout the year the JCCCW hosts major events on campus and also participates in different community events. Event volunteers join us in making these events possible. From running activity booths to helping us set up stages beforehand, volunteering at events is a fun way to get involved and see the JCCCW bustling. Volunteers interested in helping at events help out once or more a year. Most events are on weekends. If you are interested in being on our volunteer call lists for events, please submit an application. We host different cultural programs during the week on our campus. JCCCW Program Volunteers help keep these programs running and open for our visitors. Almost all JCCCW Programs occur during the weekdays during office hours (10AM-5PM).